The first public bus service began operating, in Paris, started by Blaise Pascal with a royal monopoly. J. Palisa discovered asteroid #136 Austria. M. Wolf discovered asteroid #328 Gudrun. M. Wolf discovered asteroid #592 Bathseba. Einar Dessau of Denmark used a shortwave transmitter to communicate by voice with a government radio post in what is believed to have been the first broadcast by a 'ham' operator. J. Palisa discovered asteroids #782 Montefiore and #783 Nora. K. Reinmuth discovered asteroids #973 Aralia and #974 Lioba. 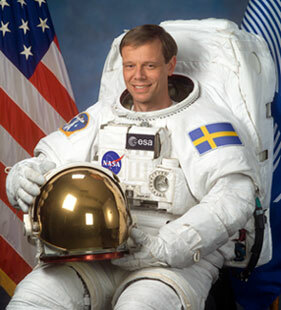 K. Reinmuth discovered asteroid #994 Otthild. R. Suvanto discovered asteroid #1927 Suvanto; and y. Vaisala discovered asteroids #1421 Esperanto, #1723 Klemola and 2020 Ukko. H. Alikoski discovered asteroid #1512 Oulu; and Y. Vaisala discovered asteroid #1696 Nurmela. L. Oterma discovered asteroids #1679 Nevanlinna and #2640 Hallstrom. The USSR launched Voskhod 2 with a crew of 2 for performance and evaluation of EVA, and use of a manual reentry system. The EVA was successful; the crew was rescued after they overshot the landing area and landed in a snow-covered forest area. Voskhod 2 was launched 18 March 1965, with two men on board, cosmonauts Pavel I. Belyayev, pilot, and Aleksey A. Leonov, co-pilot. The spacecraft was equipped with an extendable air lock that permitted Leonov's exit into space without having to evacuate the main cabin air. Leonov was the first human to perform an EVA (Extra-Vehicular Activity) in space. He donned a space suit, with his life support system in a back pack, and ventured outside the craft while Belyayev remained inside. Leonov began his spacewalk 90 minutes into the mission at the end of the first orbit. The EVA was recorded by an extended TV camera mounted on the spacecraft. Leonov also carried a handheld movie camera. The EVA lasted 20 minutes, during which Leonov reportedly experienced tension and euphoria. The flight of Voskhod 2 lasted for 26 hr, and 16 orbits were completed. 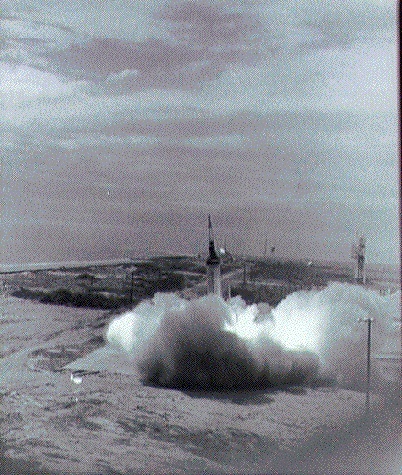 A manually controlled reentry was performed because of a malfunction of the automatic orientation devices for the retrofire, and the spacecraft landed in a pine forest far north of the target area. After locating the spacecraft, one day was required to cut through the forest and bring the crew out on skis. USSR cosmonaut Alexei Leonov performed the first spacewalk, an EVA (Extra-Vehicular Activity) from Voskhod 2. His EVA lasted 20 minutes. A Vostok rocket exploded on its launch pad during fueling operations at the then-secret Plesetsk cosmodrome in Russia, killing 50. H. Debehogne discovered asteroid #2814 Vieira. NASA's STS 29 (Discovery 8, 28th Shuttle mission) landed after deploying the Tracking and Data Relay Satellite-4 (TDRS-D). The Hagoromo probe went into Lunar orbit, making Japan the third country to orbit the Moon. NASA's STS 62 (Columbia 16, 61st Shuttle mission) landed after flying the carrying the USMP-2 and OAST-2 experiments. Japan launched their Space Flyer Unit (SFU) from Tanegashima Space Center on an H-II rocket for a 10 month mission in space. NASA's STS 67 (Endeavour 8, 68th Shuttle mission) landed after flying 16 days with the ASTRO-2 ultraviolet telescope experiment, completing the longest Shuttle mission to date. NASA's STS 102 (Discovery) undocked from the ISS as the International Space Station Flight 5A.1 mission drew to a close. NASA's MESSENGER probe started a 15 minute burn for Mercury orbit insertion, an operation that required a delta-V of 0.862 km/s.